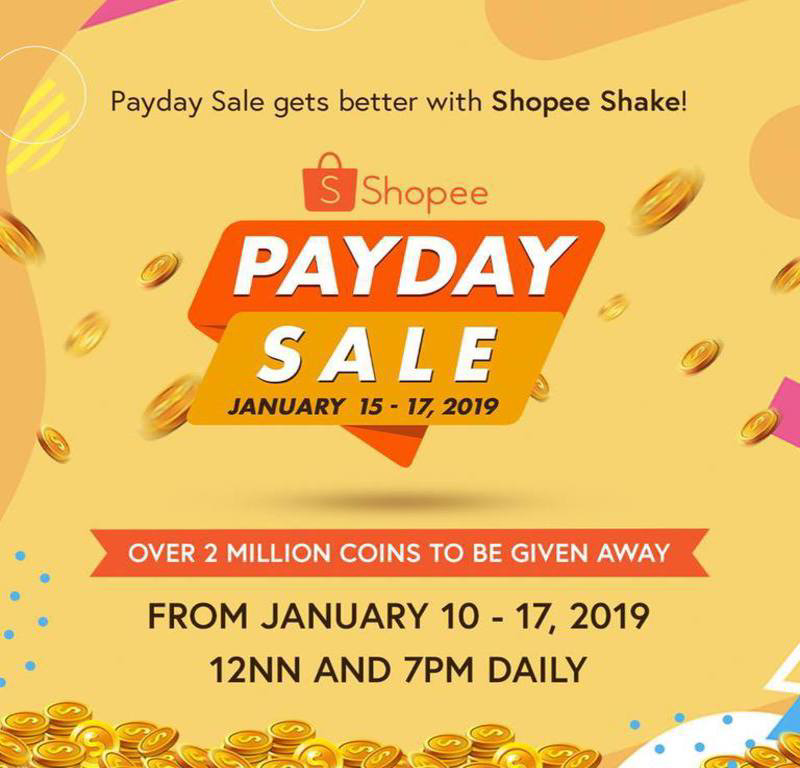 Shopee announces Payday Sale on January 15 to 17! 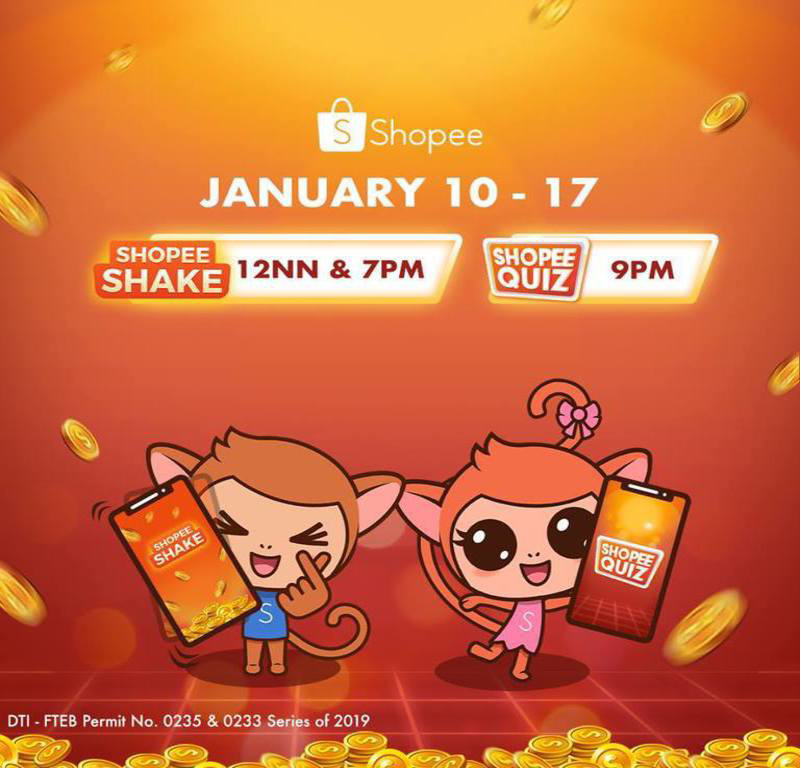 Home / feature / news / shopee / Shopee announces Payday Sale on January 15 to 17! What’s the much-awaited day of the month, especially for workers? Yes, we heard you, PAYDAY. It’s that day of the month where shopping malls display their huge red sale posters, trying to lure Filipinos during the sale period. Of course, since we want products worthy of our money, we get so excited and take advantage of big discounts to buy clothes, gadgets, accessories, and many more! But traffic is worsening in the metro, and too many people visit shopping centres. While Filipinos still go to stores, many have already experienced the convenience of online shopping. Because of this, Southeast Asia’s e-commerce giant Shopee is introducing another huge sale for its customers, Shopee Payday Sale. It will start today, January 15, until on the 17th. Shopee promised shoppers can enjoy this sale every month! Promotions offered in this huge sale include FREE shipping, up to 90 percent off across all categories, and more Flash Sale timeslots, where shoppers can grab products with big discounts at a certain period. During the three-day sale, you can also catch your favorite artists on Shopee Quiz at 9 p.m. from January 15 to 17. Also watch out for a bigger coin pool for Shopee Shake on the second day! Actually, at 10AM, Mass 32-inch SMT3207 Slim LED TV Black LED-M600 Classic has been made available for only PHP 4,399, a huge cut from its original price of PHP 12,999. You can download its mobile app on iOS and Android, and feel the convenience of shopping without the hassle. For more information, you may visit its Facebook, Instagram, or Twitter. The link to the Shopee Payday Sale is here. What are you getting this payday? Share with us in the comments!